TWA Flight 800 Documentary… Worth a Watch? On July 17, 1996, an explosion occurred over the water close to New York. It was Trans World Airlines Flight 800 and all 230 people on board lost their lives. The Boeing 747-100, N93119, exploded twelve minutes after it had taken off from John F. Kennedy International. It set off one of the biggest NTSB and FBI investigations to date. This was one of the worst aviation disasters on United States territory. The wreckage was scattered throughout the ocean floor and was drifting apart on the surface. After many years it was pieced back together and still sits in a hanger in Virginia. The NTSB concluded that there was a short in the wiring that ignited the main belly tank of the 747. Trans World Airlines Flight 800 Wreckage being removed from a hanger where it was being re-assembled. There is a new documentary being released soon that refutes this idea however. Many of the original crash investigators do not agree with the conclusion that was reached. They believe it was an external explosion that brought the jumbo crashing down to earth. Many of the eyewitnesses claim they saw a streak of light going towards the plane before it exploded. Some radar operators claimed they saw the same thing on their screens. I am usually very against conspiracy theories and never put much effort into them. I do think I will watch this documentary however. Something has me interested, could just be that it is aviation related, or there is actually something here. I have spent the last few days reading up on it and have a few questions myself now. I am hoping that the documentary will clear up some confusion. No details of their “proof,” that they claim they have, has been released yet. I do also believe that this could just be a cry for attention from conspiracy nuts. I will be watching the documentary. I want to see their “claimed” new proof and judge for myself if it is credible. This is a major aviation disaster and it needs to be fully explained. If it turns out to be a conspiracy riddled mess, then I will probably still enjoy the aviation facets of it. What are your thoughts on TWA Flight 800? Please comment below. Planes have become less and less dependent on the crew flying them. Back in the early days, transcontinental planes would need not only two pilots, but also a navigator, and an engineer. Using hundreds of analog instruments they managed to aviate across oceans. Today the largest planes in the world can be flown with just two pilots. The advancement of cutting-edge avionics and precise autopilots has taken a lot of duties out of the pilot’s hands. The future of aviation, unfortunately, will also start to see the end of the human pilot. The military has proven that drones are a viable option for dangerous missions, when a pilot’s life might be at greater risk. 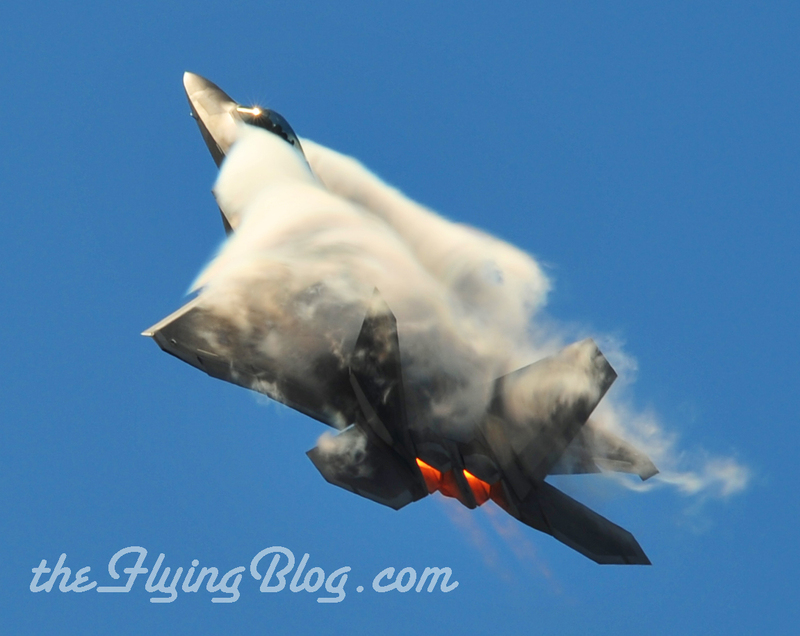 F-22 Raptor performing a high G-Force maneuver. Check out Buller Creations for more of my aviation photos. Already the military is starting to phase out the use of human pilots. It has been said by many that the latest generation of fighters, the F-22 and the F-35, might very well be the last human controlled jets. These planes can already perform maneuvers that a human would not be able to withstand. The net generation fighters will most likely be controlled from the ground and not have a soul on board. The Navy’s newest toy, the X-47B, has already proven it can land and take off from a carrier. Drones are not just being used in far off wars however. The FAA is currently working on creating an airspace system that can fully integrate drones. I am not sure how this is going to work with visual separation and such, but I hope that they figure it out. Someday we will be sharing patterns with aircraft that are completely autonomous. Will they be able to make radio calls and announce their positions at non-towered airports? Or will it be up to pilots to avoid drones? They can get very small, so this seems highly unlikely and dangerous. Drones will soon be joining us in the airspace over America, and I, for one, feel uneasy about that. Comment your feeling below. I am currently in the process of getting my instrument rating. Flying in and out of Reno however, we rarely get good IMC weather that you can practice in. Reno generally has really clear skies, devoid of any clouds at all. If there are clouds that most likely means that icing will likely by an issue, or if it is hot out, thunderstorms. Because of this I have gotten very little actual IMC time. I am getting close to my checkride, but I am still missing some instrument time. The Redbird FMX I have spent some hours in. Since I am missing some hood time I decided to try out the full motion simulator. The simulator was called the Redbird FMX. It has the option to be set up for several different planes, even glass setups. I have been flying a 172 with the G1000 and it was great that the simulator had this option. The actual simulator has a footprint of about 10 feet by 10 feet. It sits surprising low on a welded metal frame that is painted red. This one was located on the second floor in a room with an average ceiling. Inside there are two chairs, I found mine quite uncomfortable. The machine is constantly humming from various fans keeping it cool. The whole simulator gets power from a single normal outlet. The instruments were simulated very well and all the same buttons and knobs were there. The taxiing and taking-off feel very unnatural. The pedals are extremely sensitive and it is very hard to keep the yellow line under your right knee. Once in the air the simulator is at its best. It keeps constantly moving a slight bit, making it feel like you are truly in flight. When my CFI would turn on some turbulence it felt incredibly realistic also. There are 6 computer screens that wrap around the console and instruments. It was extremely nice to shoot approaches, without the foggles, and break out at minimums. This was the first time I tried this and really got to practice it. When trying to land it again felt odd and unnatural. Overall the simulator was a very pleasant experience. It feels very realistic when flying. Taking off, landing, and taxing are difficult and feel unnatural. It was great to be able to pause the simulation and discuss the approach. If you are looking to get more instrument time, or to keep your IFR credentials current, try out a Redbird FMX near you. Have you tried a simulator? Please share your experiences in the comments below. Aviation History… We are in the midst of it. Mostly carbon planes are starting to take to the skies. The Boeing 787, which just came back into service after a long and costly battery issue, and Airbus test flew its A350XWB this last Friday, June 14. Glass cockpits are replacing steam gauges in almost all new aircraft, in fact, many companies such as Cessna, only build their planes with glass cockpits. Solar and human powered flight is becoming a reality. The Solar Impulse is making progress as it makes it way across the country using only solar power. Not all the changes are good however. The sequestration has put a massive strain on our ATC network and furloughs still plague many professional pilots. All this change is inevitable and should be embraced rather than scowled upon. All this technologies are making aviation safer and more efficient. Someday VORs will go the way of NBDs and be phased out for GPS intersections. Glass cockpits are becoming the new standard in all planes, from GA to commercial planes. Today’s pilots have more information available to them on the PFD and MFD than ever before, increasing their situational awareness. 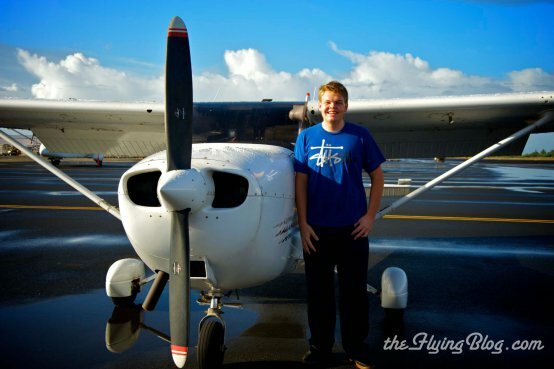 Pilots need to know and stay up to date with this new information. Being a pilot is a never-ending learning process. The future of aviation is bright and will continue to flourish for the many years to come.